As if exposure to UV rays from sunlight wasn’t bad enough, skin has another enemy trying to steal away its youth and health: high-energy visible (HEV) light. Also referred to as blue light, HEV light is primarily from the sun, but it’s also emitted by your smartphone, tablet and computer screen. By any name and from any source, a growing amount of research is proving how destructive HEV light is for your skin. What is HEV Light—and How Does it Differ from UV Light? 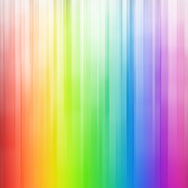 The spectrum of visible light—that is, what the human eye can see—emitted by the sun is made up of the colours of the rainbow, with wavelengths of 390 nm to 700 nm (nm = nanometer, a measure of length, specifically, 1 billionth of a meter). UVA and UVB light from the sun fall under the category of invisible light; we can’t see these rays, but they’re present during daylight hours, and absolutely impact your skin’s health and appearance. The sun’s UVB light causes sunburn and its UVA light causes deeper damage, like loss of firmness. For a bit of geek science: The wavelength of UVB rays goes from 280 nm to 320 nm; the wavelength of UVA rays ranges from 320 nm to 400 nm. The HEV light (blue light) emitting from the sun and your electronic devices ranges from 380 nm to 500 nm, a bit shorter than, but overlapping with, the range of UVA light. Interestingly, the range of blue light varies depending on whose research you’re reading, with some scientists putting it more strongly in the range of 400-450 nm in terms of its damage to skin. Regardless of exact numbers, for certain it’s no exaggeration to say that the progressive damage unprotected exposure to UVA and UVB light does to skin is ultraviolent. As it turns out, damage from HEV light isn’t far behind. The sun’s blue light is a big part of why on a cloudless day we see the sky as blue. But, unlike the invisible UVA and UVB radiation, which is not an issue after dark, the threat from blue light doesn’t stop when the sun goes down. As mentioned, HEV light is also emitted by common devices we use or are exposed to all day long: televisions, fluorescent bulbs, at-home light devices for acne, computer monitors and smart phones. We explain more about these risks and what you can do about them in this article. So, what can you do to protect your skin from HEV light? Daily application of a broad-spectrum sunscreen is the logical first choice, given that the sun emits a large portion of blue light that sunscreen can protect from. But don’t reach for just any sunscreen: You want one that contains plenty of antioxidants, a research-proven combination that Paula’s Choice uses in all of our sunscreens. What can antioxidants do for skin? Just as UVA and UVB light exposure triggers a cascade of oxidative damage on and within skin, so does blue light. The startling difference is that blue light can penetrate farther into skin than UVA light, causing deeper damage that eventually shows up as wrinkles, rough texture and brown spots. Antioxidants are found in well-formulated sunscreens as well as in specialty products, boosters and moisturisers. When applied to skin, these antioxidant-loaded products help defend and minimise the chain reaction of damage before it visibly impacts your skin. Enable the “night mode” settings on your portable digital devices permanently, which significantly reduces the blue light in favour of harmless yellow light. We know that the information in this article so far doesn’t put blue light in, well, the best light; however, the truth in beauty is that some (safe) exposure to blue light is also good for us. Routine exposure to blue light, preferably from daylight, helps regulate our body’s sleep-wake cycle, improves our mood, keeps us alert and can even enhance memory. As with many things in life, blue light has both risks and benefits. Balance comes from trying to ensure that your routine exposure (with an antioxidant-rich sunscreen applied first) helps as it’s supposed to without going in the opposite direction and harming your skin.